So you want to make money from home but you don’t feel like you have any skills or qualifications to make it happen? I get it. 100%. I was you. First, I am willing to bet that you actually have plenty of profitable skills that you don’t even realize or know how to capitalize on. Second, there are a lot of ways to make money online without any special degrees, certificates, or qualifications. BUT, I completely understand that you want some training and help getting started in the right direction. For years I wanted to make money from home but didn’t know where to start. “Helpful” articles just left me overwhelmed and confused. I decided that I wanted to take a course that would give me some skills and show me how to find work, because I did not have an entrepreneurial bone in my body. I had no clue how to get started. A quality course is an awesome way to learn how to make money from home (and much cheaper than a college degree!). You can learn some helpful skills, figure out how to market yourself, how to bill your clients, and where to find work. Plus, many online courses come with private groups where you can ask questions and learn from people who are already doing it. That kind of support is invaluable! 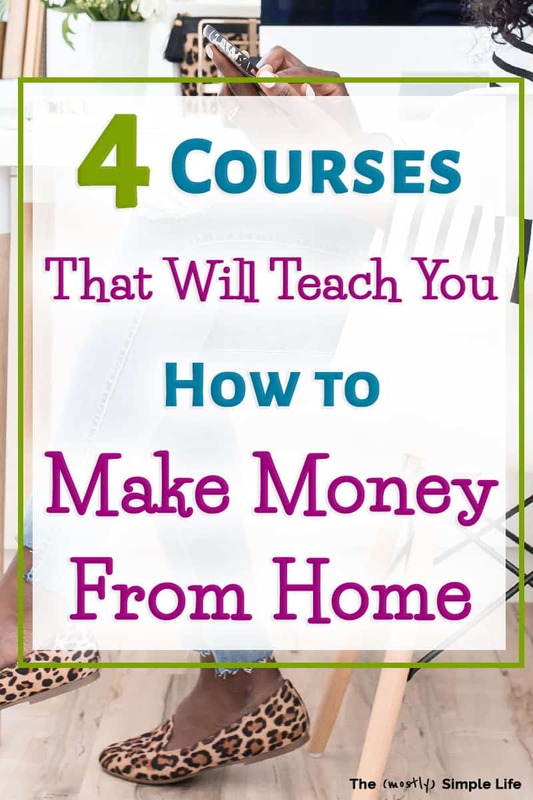 If you want to learn how to make money from home, I want to point you in the direction of a variety of courses that will help get you trained up and started! Based on your skills and interests, you can choose which one you think is right for you. Do you spot spelling and grammar mistakes in restaurant menus and on your friend’s Facebook posts? Will it drive you nuts if I use there when it should have been their? Maybe you should be a proofreader! Proofreaders are in high demand. I actually have one that I hire from time to time to proofread big projects for me, so I know that they are in demand and get paid well. Plus, you can work from anywhere! To become a proofreader, you do need to develop your skills and learn how to set up your business and find clients. Proofread Anywhere is a course that will teach you all of it! How much can you make as a proofreader? You can easily earn part-time income and as you fill up your client list, you can definitely earn enough to replace your full-time job as well! If you’re interested, I’m actually not going to just give you the link to the course. I want you to first sit in on a free workshop. The workshop will help you determine if proofreading is right for you, share how you can attract clients, and a bunch more good stuff. It’s the perfect place to start! Grab a Seat in the Free Workshop to See If Proofreading is the Right Fit for You! Of course I have to talk about blogging since I am a full-time blogger! I love what I do and it is the perfect fit for me! I spend time writing, taking photos, and creating. I’m constantly learning new things, which can be difficult and frustrating, but exciting too. The best way to start blogging is just to do it! You can get inexpensive hosting through BigScoots to start up your site (the “shared, managed web hosting” plans will get you going for very little money). I recommend immediately taking the WordPress for Beginners course from Udemy to help you get your website set up and learn the ropes. It’s how I got started. But let’s talk about the money part. How do you make money blogging? The thing with blogging is that there is no guarantee that you will make money, but it is possible! The best course to take if you want to make money blogging is Elite Blog Academy. It is comprehensive and will take you from beginner to advanced strategies — all aimed at helping you make money as a blogger. Enrollment for Elite Blog Academy only happens once a year, but you can get on the waitlist here. On the waitlist, you’ll get tons of helpful info coming your way while you wait for course enrollment open up, so I highly recommend you get the waitlist! How much can you make as a blogger? The sky is the limit! In 2018, I almost quadrupled my income from the previous year. That kind of income growth isn’t possible with normal jobs. I know bloggers who make $10,000 on up to $100,000 per month (!!!). If you put in the work, it is absolutely possible to make good money as a blogger. 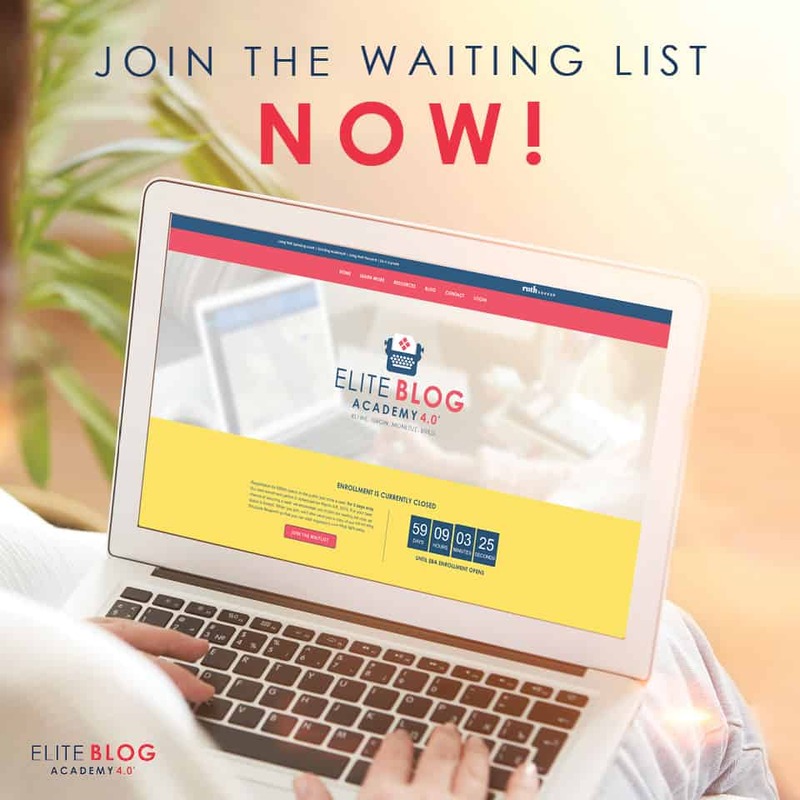 Get on the Elite Blog Academy Waitlist Here. You can read my full review of Elite Blog Academy here. To Get Your Blog Set Up, Take the WordPress for Beginners course from Udemy. 30 Days or Less to Virtual Assistant Success will help you use the skills you already have (and learn a few new ones) so that you can become a successful virtual assistant. That’s just the tip of the iceberg. From Gina Horkey, the creator of 30 Days or Less to Virtual Assistant Success, you can get a free list of over 150 services you can offer as a VA. It’ll get you thinking about what skills you have or could easily learn to get paid as a virtual assistant! How much do virtual assistants get paid? A virtual assistant based in North America gets paid an average of $35-50 per hour! Not too shabby, right? In 30 Days or Less to Virtual Assistant Success, you’ll learn how to set up your business, how to pitch new clients and where to find them, how to handle contracts, and lots more. It’s everything you need to get started working as a virtual assistant! Click Here to Enroll in the 30 Days or Less to Virtual Assistant Success Course! Are you great at finding the best deals when you’re out shopping? That could actually turn into income for you! You can learn how to do retail arbitrage: where you buy things super cheap and sell them for more on Amazon. Jessica and Cliff, who are know as The Selling Family, support their family by selling on Amazon and now they teach others how to do it to! There’s a bootcamp to teach you how to set up your business, source inventory, and start selling! It’s called Amazon Bootcamp. How much can you make? It totally depends on how much work you want to put into it! You could do it as a side gig or replace your full-time income. Start Learning What It’s All About With a Free 7-Day Email course! To Start Your Selling Business, Enroll in the Bootcamp Course! Making money from home is a dream for a lot of people. However, just knowing how and where to start is a hurdle most people never make it over. 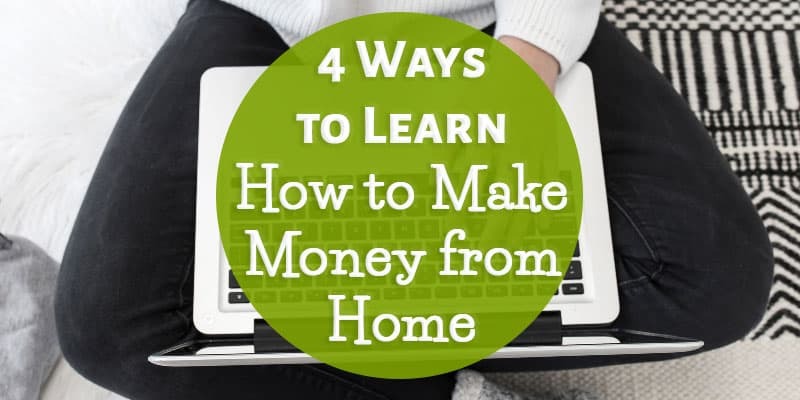 Taking a course that will refine your skills and show you how to find work might be just what you need to finally start making money online from home!